Bullet-proof continuous delivery of software is crucial to the health of your community, more than a way to run manual tests, it also enables your early adopters to test code and give feedback on it as soon as it lands. You may be already using build.snapcraft.io to do so for snaps, but in some cases, your existing tooling needs to prevail. 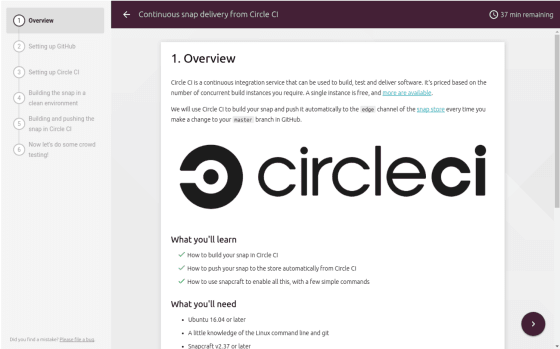 In this tutorial, you will learn how to use Circle CI to build a snap and push it automatically to the edge channel of the Snap Store every time you make a change to your master branch in GitHub.